Welcome to Doylestown Builders, an Award winning Company proudly serving Doylestown and the surrounding communities since 1998. 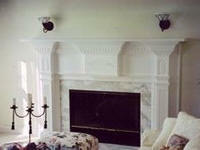 Doylestown Builders is proud to offer top quality craftsmanship to serve all your interior and exterior building needs. We are a local Construction Company performing projects from Kitchen and Baths Projects, Historic Renovations in older and historic homes, Commercial and office buildings Refits/rehabs, basement and attic finishing to large remodeling/addition projects, we even have a handyman service where no job is too small or too big. We have won several awards for our design and old world quality, value and attention to detail. We appreciate all our clients gracious reviews of our customer care and professionalism on the job. As homeowners your investment in our craftsmanship returns high rewards. Please explore our web site, then Contact Us to discuss your project in more detail... David our office manager will get back to you as quickly as possible. We are Insured and licensed in Pennsylvania and New Jersey and work in the city of Philadelphia. Montgomery County, the Main Line and beyond.